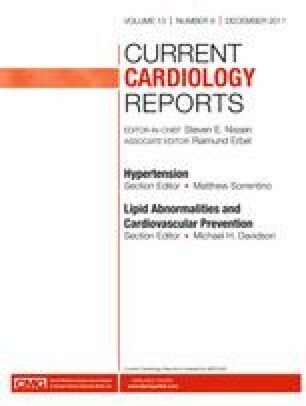 Hypertriglyceridemia is a prevalent risk factor for cardiovascular disease (CVD) and increasingly important in the setting of current obesity and insulin resistance epidemics. High triglyceride (TG) levels are markers for several types of atherogenic lipoproteins. Patients who have hypertriglyceridemia may be at significant risk for CVD even if low-density lipoprotein cholesterol levels are at goal, and therefore warrant treatment that optimizes diet, reduces overweight, and promotes regular exercise. High-risk patients with hypertriglyceridemia, such as those with diabetes, CVD, or metabolic syndrome, may benefit from additional drug treatment aside from a statin to address other lipid abnormalities. In this discussion, we review the role of hypertriglyceridemia and its associated atherogenic lipoproteins in the pathogenesis of atherosclerosis, the relevance of a high TG level as a predictor of CVD, the cardiovascular outcomes from TG-lowering intervention trials, and the current guidelines for treating hypertriglyceridemia. Conflicts of interest: B.G. Talayero: none; F.M. Sacks: has board membership with R3i Foundation; has been a consultant for Abbott, Amgen, Pfizer, Roche, Merck, Eli Lilly, ISIS, and Genzyme; has given expert testimony for Abbott and Par; has received grant support from ISIS; and has received honoraria from Abbott.